Like Danielle Creations? Click here to view the entire range. 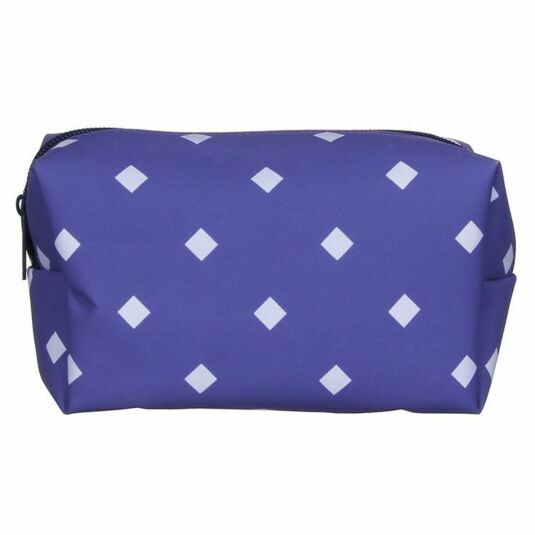 Keep your travel essentials safe and organised with this multi-purpose bag from Danielle Creations. 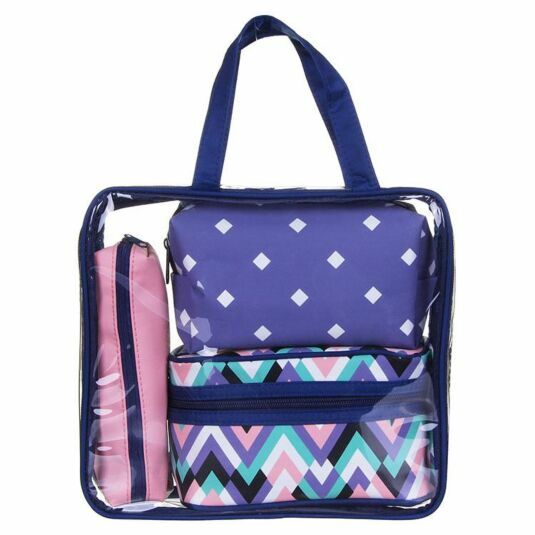 This set comes with three different sized bags within a larger transparent bag, meaning you will be able to fit all of your travel essentials! 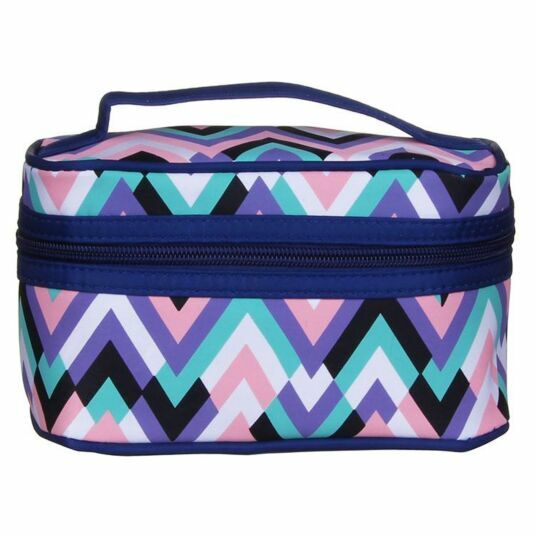 The largest bag features a multi-coloured zig-zag pattern, the second has a purple background with white squares, and the final pencil case shaped bag has a light pink finish. All of the bags are finished with a navy blue zip fastening. 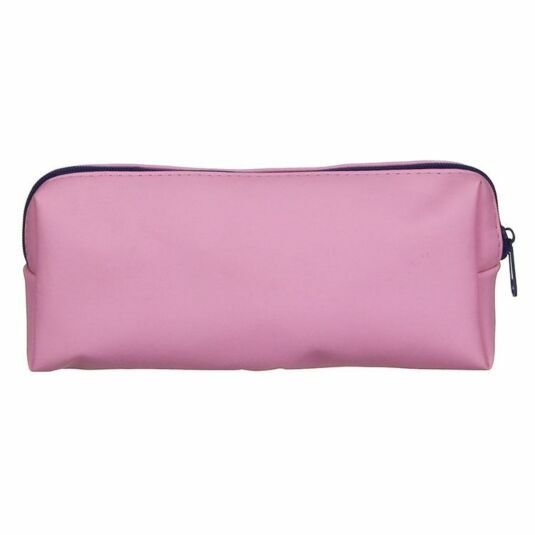 This stylish cosmetic bag has an appeal across all ages, from teens to mums to grandmothers and is the perfect gift for a keen traveller!